The Corvette C-5 Z06. The Chrysler 300C SRT. The Ford GT. They're the cars that get our hearts racing, and our Black Goodyear Eagle F1 Supercar Tire Wedding Ring is the jewelry that brings home the power and performance of your all-time favorite machines. Whether you own a supercar or just go to bed each night dreaming of the day when you will, these amazing custom car wedding rings are for you. This officially-licensed Goodyear tire tread ring is crafted from a broad, 9mm-wide band of black zirconium. Zirconium is a special, high-energy metal that's much like titanium. Our zirconium is superheated into a badass ash-black finish and then polished to replicate the luster and look of a brand-new tire fresh off the line. Each ring is painstakingly carved with perfect precision to create the unmistakable tread pattern of a Goodyear Eagle F1 tire. If you're a fan of Goodyear and eat, drink, and breathe performance, then there's no reason for you not to own this ring. 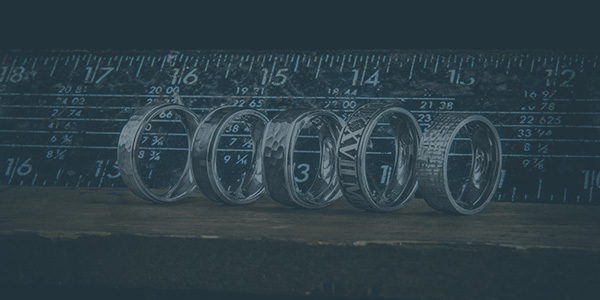 We can custom build yours in nearly all whole and half sizes, but you can consider us your own personal ring mechanics -- we'll be happy to build custom sizes or make other mods to this ring for you upon request. Optional personalized engraving is available on the inside of the band as an add-on feature. Purchase of this ring includes free ground shipping to anywhere in the USA (we asked the post office to deliver these by supercar, but they said no). 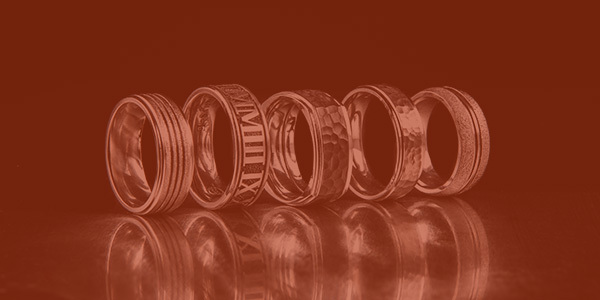 We own the road when it comes to black zirconium or titanium men's wedding rings. Tire style rules in the complete collection of tire tread rings at Titanium-Buzz.